Nonprofit organizations work tirelessly to aid the communities they support, but often find themselves lacking the resources needed to succeed. For-profit companies maintain a laser focus on delivering results but can yearn for the corporate satisfaction of contributing to something greater than the bottom line. A natural solution to both issues is a strategic partnership between for-profits and nonprofits. These strategic partnerships can be a critical step toward assuring the long-term health of the nonprofit and can add incredible value to the for-profit company. They can be the very definition of a “win-win,” however, they require hard work from both sides to be successful. The work begins long before the partnership is established and must continue throughout the arrangement and beyond. If your organization is considering a strategic partnership, gain an understanding of these topics and optimize the program’s mutual value and success. Nonprofit leaders are very busy folks who are often fighting lots of fires with little resources. Expect nonprofits to be tentative about partnerships at first as they will likely have limited prior experience. Reaction time does not equate to interest level so don’t rush things. Nonprofit leaders will be suspicious of exclusively altruistic motives. Be up front about the value you expect to gain for your involvement in the partnership and if a trigger event is driving your interest, discuss it. If you are looking for a one and done opportunity, then just get out the corporate checkbook and fill in the numbers. If you seriously want to build a relationship, then come to the table with a multi-year funding commitment and multiple options for developing the program over time. Recognize that a long term relationship will need to develop, so engage the nonprofit on their strategic planning process and be ready to involve them in yours. Many nonprofits do not have large legal teams, so when working on any agreements, reign in your lawyers. While it is necessary to ensure basic protections (for both parties) try to keep the legalese to a minimum and be flexible where ever possible to avoid overtaxing the nonprofit’s staff. A real strategic partnership extends beyond the dollars, so find creative ways to engage your staff members as part of the program. Encourage your team to volunteer with the nonprofit and share expertise and experiences. Discuss the nonprofit’s current business relationships and make connections between the nonprofit and your business network. Learn as much about your potential nonprofit partner as you can. Review their website, financial statements, tax filings, annual reports and press releases and get to know their leadership team and Board members. Be careful not to assess nonprofits as if they are for-profit because their financial reporting is not comparable and also be careful of the rating and ranking services. Their information on small to midsized nonprofits can be very inconsistent since they use standardized metrics across very different organizations. Nonprofits will rarely expend the resources to approach an organization to propose a strategic partnership as the return on the effort will typically be too low. If your organization is interested in a partnership, spend some time building a framework, look for nonprofits that might match and contact the Executive Director, Development Director or a member of the Board to gauge interest. Nonprofits’ governance practices, language, structures and culture differ from for-profit companies. Identify a resource within your organization that is familiar with nonprofits or find an external advisor. This person can help to manage or minimize misunderstandings and can help both sides set expectations. During the early phases of your program, provide training for your team members on nonprofit basics. Place emphasis on how nonprofits obtain funding and on the responsibilities of Board members. Do not approach the partnership as a one-way street where your company makes decisions because it is providing resources. Nonprofits tackle challenging problems that often defy solution and by doing so become well versed in creating a lasting impact. While a good reputation is important for any business, it is absolutely critical for nonprofits. Before and during any strategic partnership, be mindful of any issues in your company that might inadvertently impact the nonprofit. This includes customer or vendor relationships with companies that may operate in opposition to your nonprofit partner. If your company experiences some type of crisis during the strategic partnership program, make sure the nonprofit is on your call list. Keep them in the loop as you address the problem, since they may have to explain to their funders and donors. If either of the parties decides not to proceed with the project, then find a way to provide some value for the effort expended by the nonprofit. If you are in the strategic partnership and are seeing declining value or engagement, then discuss your concerns with the nonprofit and look for ways to reinvigorate the program. If ultimately it is time for the partnership to end, work with the nonprofit to minimize negative impact. Part two of this article will focus on the success factors from the nonprofit’s perspective. 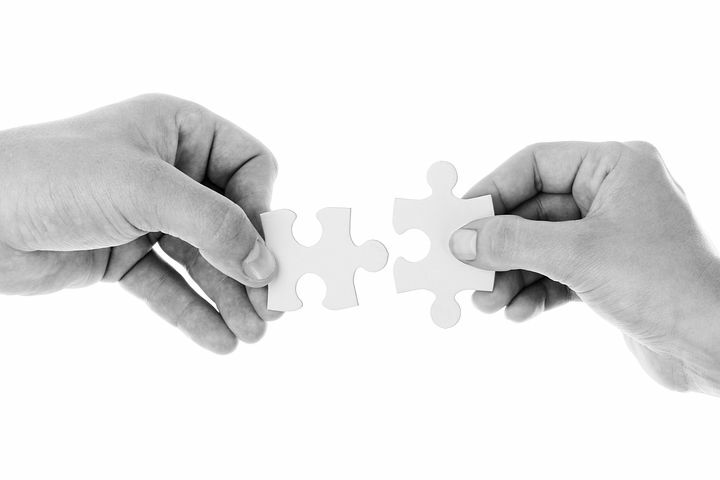 Strategic partnerships can be particularly challenging for nonprofits. They must take positive steps to manage the relationship with the for-profit partner while supporting the long-term success of the program. With focus, support and diligence nonprofits can realize significant benefits from partnerships with for-profit companies. Michael F. Cade is an advisor and executive coach, guiding nonprofits to think Beyond the Numbers. He is a leadership pathfinder, helping nonprofits solve problems, optimize operations and execute strategy to attain long-term viability and relevance. His Framework for Fiscal Sustainability is an innovative approach to evaluating organizational health and ensuring ongoing mission success.